Stampin Up Demonstrator - Lynne Fahey (Spiralz and Curlz): The New SU! Spring Mini Catalogue is here!!! The New SU! Spring Mini Catalogue is here!!! Happy New Year my lovely Blogger friends!! I hope you all had a great Christmas... did you get what you wanted? 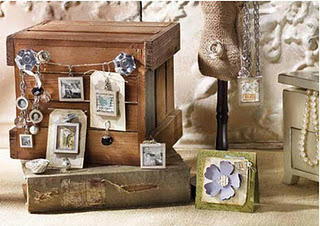 where you surrounded by gorgeous crafting goodies? I hope you were! It is jam packed with wonderful new projects, stamps, fabric AND a Jewellery range called SIMPLY ADORNED.... you will not be able to resist making your own fashion accessories to match your wardrobe, trust me! So, here is today's card I made using one of the new stamp sets AND co-ordinating punch! I absolutely love how it turned out and how bright it is. Card Stock - Real Red, Daffodil Delight, Pumpkin Pie, Pacific Point, Garden Green and Whisper White. Card and envelope - don't they look smart?!! I hope you have enjoyed today's posting... If you would like to have your own copy of the mini catalogue, email me your full postal address and it will cost £1 plus P&P. Alternatively, if you'd like to place an order, I'd love to hear from you. Fab card & matching envelope Lynney! Ah, thanks Margaret! Happy new Year to you and Linda. Are you both going to training on the 15th?